Concrete works are a part of many DIY remodeling and reconstruction activities. For that matter, apart from professional contractors, homeowners also sometimes need special tools that are used for concrete-based constructions. For such occasional uses, it’s better to rent these tools instead of spending a significant amount of money on buying them. We are enlisting some tools here that you might need for a DIY concrete construction job. Freshly applied concrete needs a vibration treatment to settle down. Purpose-built concrete vibrators available in different assemblies are used for this job. These machines are expensive, and only professional contractors buy them. For a DIY job, it is better to look for the pieces available on rent. If you need to handle a lot of concrete composite, it is suggested that you get a portable mixer for the job. Tubs can also be used, but there is a risk that the prepared mixture will be hardened even before the application. A portable mixer also helps in constantly shaking and agitating the prepared mixture. 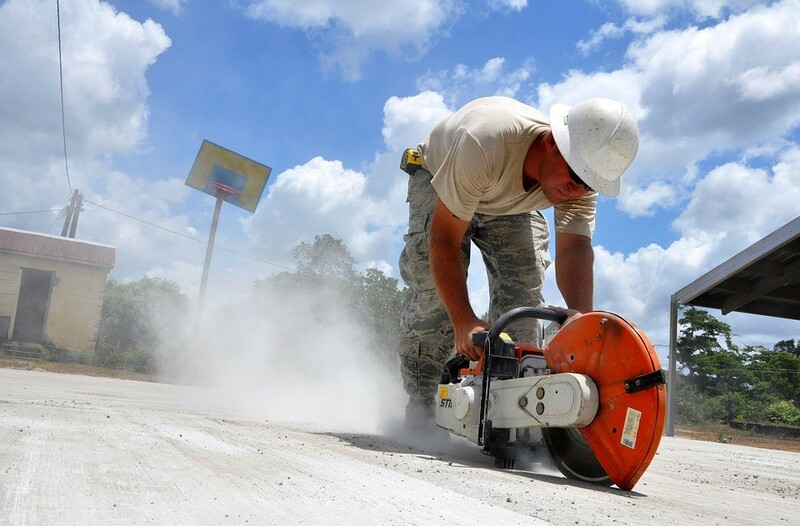 Whether you want to cut control joints in a newly applied concrete or want to mark the old concrete area, you will need specialized saws. For homeowners, there is no point in investing too much money in those specialized saws. If your DIY remodeling and reconstruction job requires concrete cutting, then we will recommend you to rent a saw since you won’t need it for more than a couple of days. There are many owners who are willing to rent out such specialized tools to people that need to take care of one-off concrete jobs. The renting cost is nowhere near the price of the machine. Groove cutters are also used for the same purpose. Look for either of the tools on rent if you want to keep your remodeling work cost effective. For any basic concrete work, a shovel is a necessary tool. Many homeowners already have a multipurpose shovel in their hardware tool kit that can also be used for concrete handling. But if your concrete task is extensive, then it is better to work with a long-handled shovel. The long shaft increases the moment arm of the shovel and makes it easier to handle it with lesser exertion of force. Screeds are long and straight solid tubes which alongside planks are used to level the surface immediately after pouring down the concrete. Even though screed is the most basic tool used in concrete construction, without it, you can’t successfully finish the job. Screeds are available in a range of different options pertaining to varied surfaces and spans. If you are not sure which screed will work for you, don’t spend money on buying one. You can get multiple screeds on rent at a really reasonable cost. With multiple options in your hand, you can easily conclude the task.